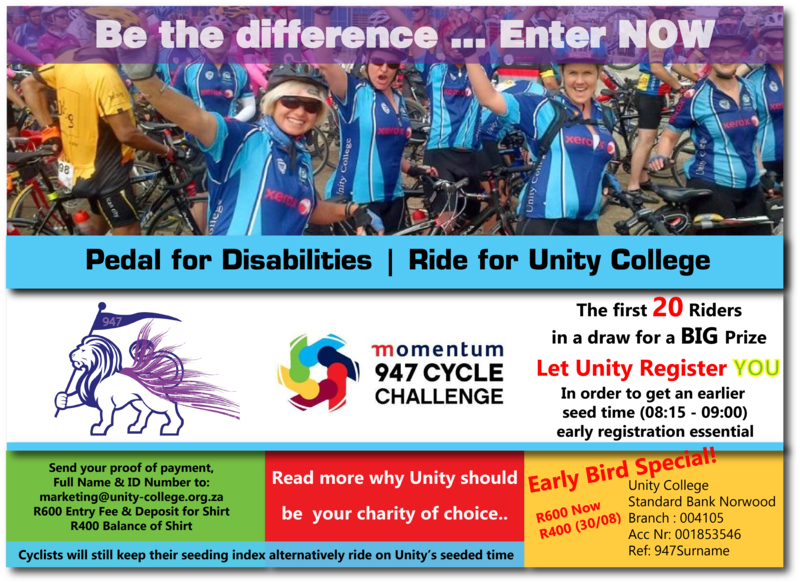 Unity College is a special needs school that is organising to ride the Momentum 947 Cycle Challenge to raise much needed funds towards their FOOTBALL field (previous goal was the school’s SWIMMING | THERAPY POOL but now Growthpoint Properties has funded that so all prior funds raised will go towards the next goal; the field). It will be a fun day out for the whole family and Unity Pedal For Disabilities would appreciate your support. 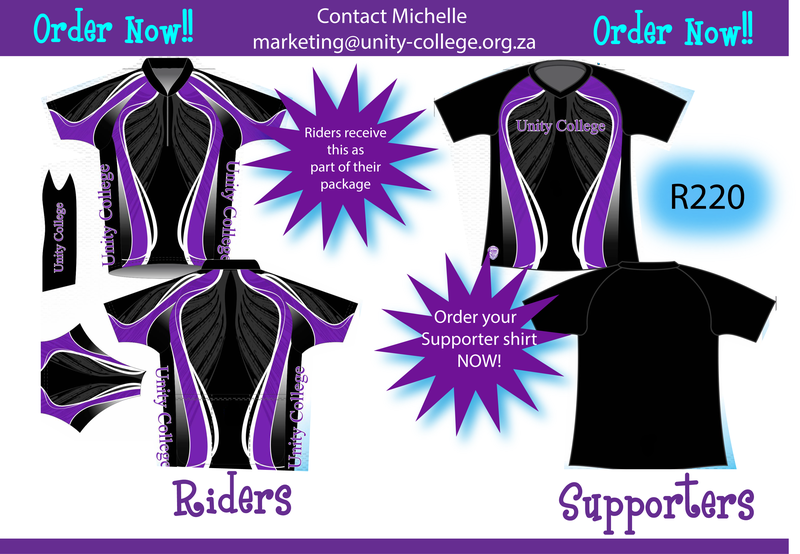 There are 3 ways you could help us, either by riding the Pedal For Disabilities Challenge and finding sponsorship for yourself (Pledge Form) or by taking the Pledge form and raising funds for Unity College in your private capacity or by being a sponsor. The event takes place Sunday the 15th of November 2015. The Unity family is saluting one of our warriors Joshua Noome; born prematurely with a birth weight of 430 grams with seemingly insurmountable challenges, proudly participating in the Telkom 947 Cycle Challenge! Joshua Noome is in our Intermediate Life Orientation class. Mom, Bronwyn belongs to a riding club in Benoni; as a result a friend organised a cart for Joshua and was only too happy to tow our little hero at the race. Bronwyn says “Joshua loved EVERY minute of it. He was a champion, sat for the entire ride and got a medal. 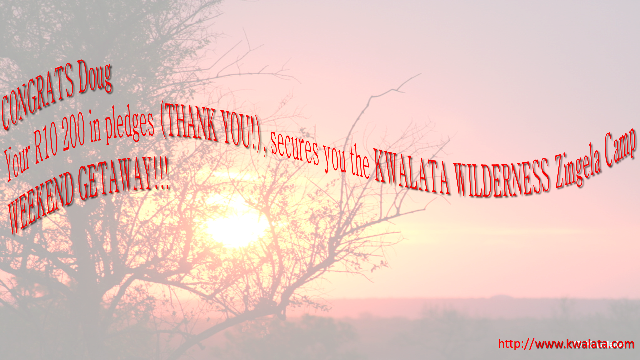 It was long, very hot and a very special day and we did it”. Unity CELEBRATES its champions! 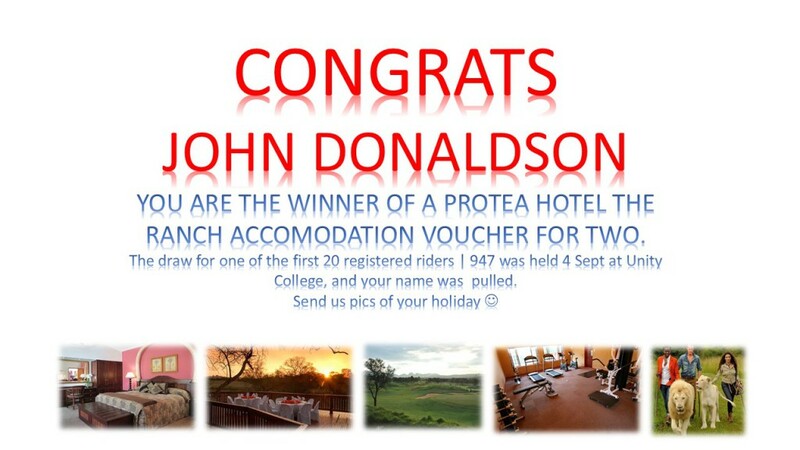 A very well done to a very special 13 year old! We are so proud of you!